Janet Dirks is Alberta Bureau Chief for CTV NATIONAL NEWS,covering all major news breaking in the region. 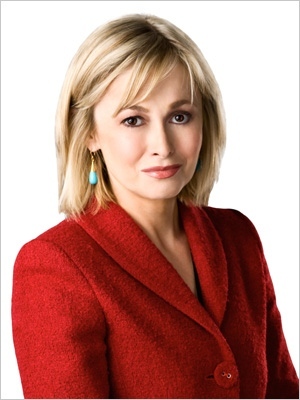 In 2008, the veteran journalist moved to CTV National News from CTV British Columbia where she won numerous awards for journalistic excellence, including two prestigious Webster awards. In 2011, Dirks covered the devastating fire in Slave Lake and followed the tour of Prince William and Catherine, the Duchess of Cambridge in both Yellowknife and Calgary. That same summer, she reported on the abduction and mysterious return of 3-year-old Keinan Hebert in Sparwood, BC. Other career highlights include six months in Jerusalem in the Middle East Bureau and one month in the London Bureau. Dirks also reported on the murder trial of Robert Pickton and the Kelowna forest fires of 2003. Dirks began her career at CBC Radio in Winnipeg as a producer and program host, and has worked in Calgary, Toronto and Vancouver. She holds a law degree from the University of Victoria and was admitted to the Manitoba Bar in 1987. She also graduated with an Honours Journalism Degree from Carleton University and an Honours History Degree from the University of Winnipeg. Believing that journalism is a privileged position presenting a window into extraordinary lives, Dirks has been fortunate to interview writers Mordecai Richler and Martin Amis, cellist Mstislav Rostropovich and Holocaust survivor Leo Lowy.